The United Reformed Church Eastern Synod has approved the sale to Pembroke of the Emmanuel URC building on Trumpington Street. Pembroke and the Emmanuel United Reformed Church began to talk early in 2016, as the College’s plans to purchase and develop the Mill Lane site became more widely known. Together, we discussed the sale of the church and 1 Little St Mary’s Lane, and the congregation of the Emmanuel Church has plans to move to St Columba’s on Downing Street. 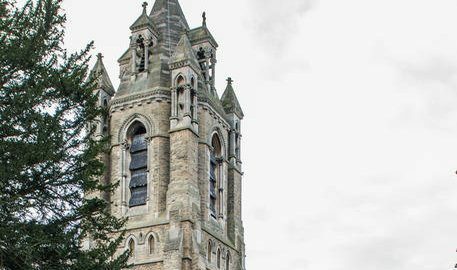 Pembroke intends to use the beautiful church building as an auditorium, which will provide the College with much-needed space for musical performances, talks, panel discussions and other events. It will be one of the best chamber music venues in Cambridge. At present, the biggest event space in College is the Old Library, seating 100, so this space will enable many more possibilities by seating well over 200. ← What’s the plan for Mill Lane?